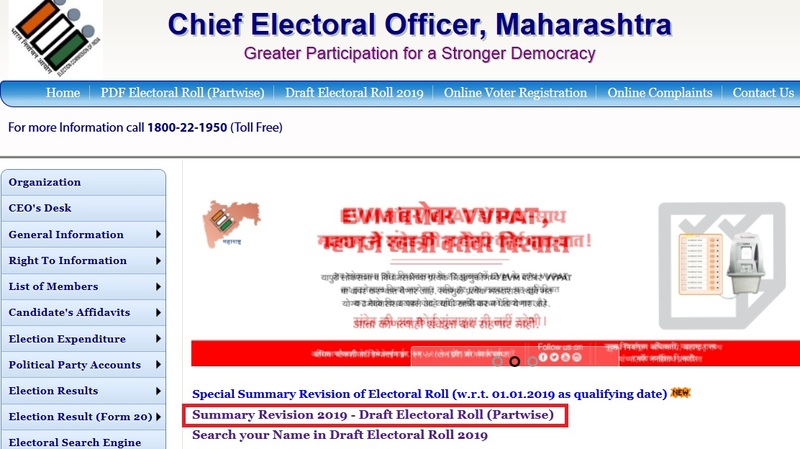 Just follow the below steps to check your Draft Partwise Electoral Roll 2019. Step 6 : Enter the captcha code as shown in the image. Step 8 : The Electoral Roll will be displayed in a PDF format. 1. How can I get registered/enrolled in the Electoral Roll? Ans. You have to submit a filled in Form – 6 to the ERO of the Assembly Constituency. 2. What is the procedure to make corrections in such names / other details that have been misspelt in the Electoral Roll? Ans. For incorporation of corrections in the Electoral Rolls, You have to submit Form – 8 to the ERO of the Assembly Constituency. Following are the various forms useful for registration as voter, corrections, change in address etc. 3. I have shifted my residence recently. How do I ensure that I am enrolled in my new place of residence and my name is deleted from the old place? Ans. In case the new residence is in the same constituency please fill Form 8A otherwise form 6 and submit to the ERO (SDM) or the AERO of the area of your new residence. 4. Can one be enrolled at more than one place? 5. Where will be the notice of hearing sent by Electoral Registration Officer? The Electoral Registration Officer will send notice at the address of applicant in the country of his current residence, as informed by him and it will be considered as due service of notice to the applicant. 6. Where the postal address of the Electoral Registration Officers can be obtained from? Postal addresses of all Electoral Registration Officers are available on the website of Election Commission of India / Chief Electoral Officers of respective State / Union Territory (link to which has been provided on the Election Commission of India website). 7. If I apply on line, whether I need to send to the Electoral Registration Officer’s address, signed copy of the Form 6 along with required documents. My surname has been wrongly spelled. Instead of Jayant Keshav Kolwadkar, it is spelled as, Jayant Keshav Kolvadkar. Kindly guide me to get it corrected.